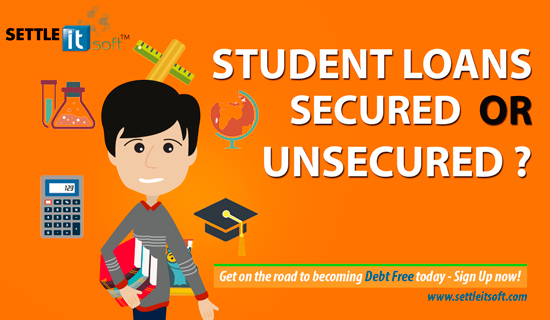 Overwhelmed with outstanding credit card debt, many consumers are at a loss as to what to do. 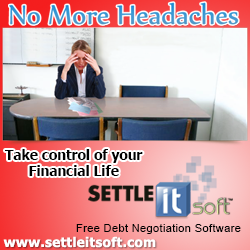 One option is to hire a debt settlement company to negotiate with your creditors. The good ones can often settle your debt for about 40% of what you owe. Their fees can be exorbitant, but they can usually negotiate far better than most individuals and ultimately save the consumer more than half of what was owed including the fees. 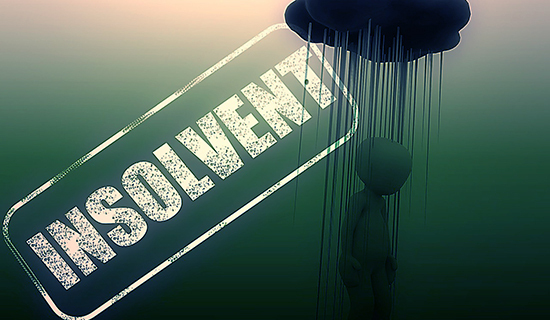 While there are plenty of perils for consumers dealing with this industry, debt settlement is still popular with many troubled borrowers who are trying to avoid bankruptcy. Also, it is important to recognize that debt settlement is not the same as debt consolidation or credit counseling. With debt consolidation, borrowers are offered one large loan to pay off their smaller debts; whereas credit counseling agencies try to set up low-interest repayment plans, so borrowers can pay off their debt over time. 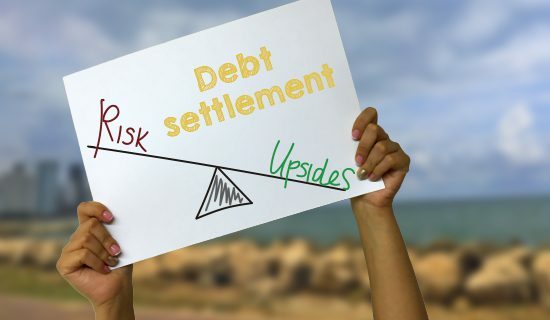 Debt settlement is different. Instead of offering a repayment plan or loan, these companies usually advise their client to stop paying their bills and save their cash instead, which the settlement company will then use toward payment of the negotiated lump-sum settlements. There are some dangers with debt settlement that include fraud, credit score damage, lawsuits, and taxes. 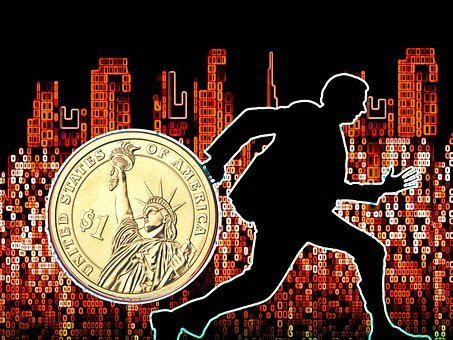 Some settlement companies are flat out fly-by-night scams; with employees who are simply too inept or inexperienced to negotiate deals with your creditors effectively. Either way, you lose lots of money with no results. The FTC has excellent guidelines you should follow when choosing a settlement company. You should also read the FTC rules regarding debt settlement. Remember that while many praise the FTC’s new rules, many feel they do not go far enough. Be aware, when you settle debt, the difference between what you owe and what you pay is typically considered taxable income by the IRS. Plus, debt settlement isn’t cheap. Most companies charge between 14%-18%of the total face value of the debt you want settled, while others require a large percentage of the amount they actually settled for you. Also, if you choose debt settlement, it may hurt your credit score, but there are ways to begin repairing it, such as obtaining a secured credit card or a gas/store card. In addition, you will need to make timely payment on other bills while using debt settlement services. Finally, debt settlement is not fast. 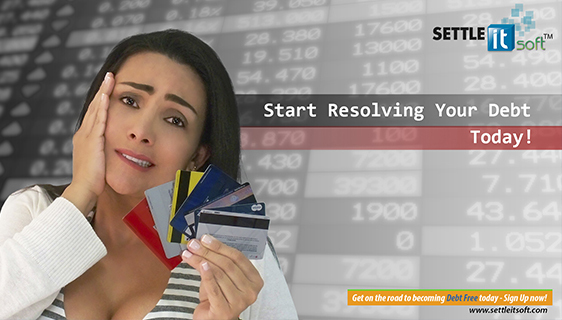 The average time for the debt settlement process to be concluded for each creditor is 12 to 18 months. However, you can always try to negotiate yourself. There are free resources, such as debt negotiation software, which includes Cease & Desist and Invitation to Settle letters on the Web. You should definitely check out this option.